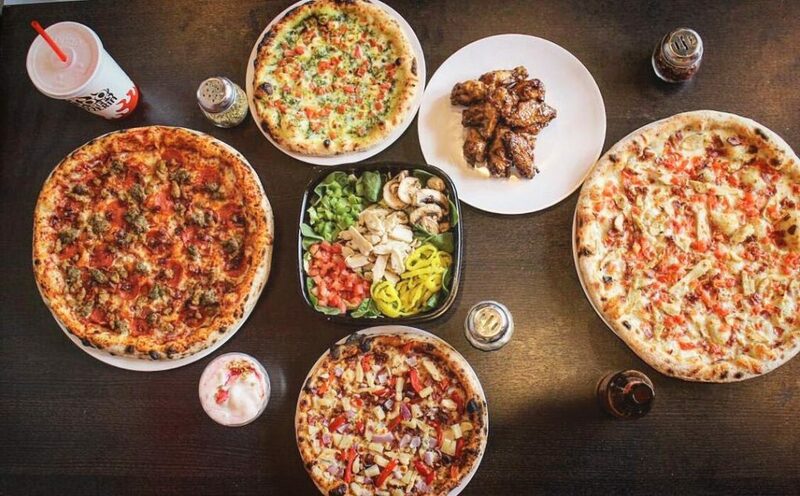 “Bradenton is about to heat up,”The restaurant, at 6220 14th St. W. in Bradenton, will become the seventh 1000 Degrees Pizzeria to open in Florida, but the first along the Gulf Coast. Three others are slated to open before the end of the year, according to the company’s website. 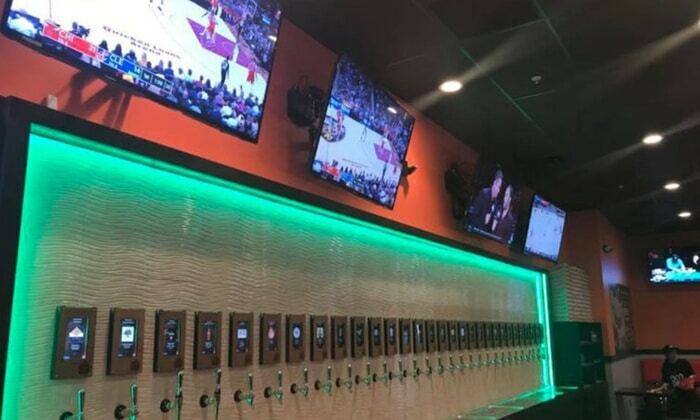 The Bradenton location will feature the largest “self-serve beer and wine wall” tap system in the 1000 Degrees Pizza restaurant chain. The first 10 customers on Friday at the Bradenton location – the scheduled opening time is 11 a.m. – will get a free pizza once a week for a year, while all customers through the door that day will get a free made-to-order 10-inch pizza with more than 30 toppings, cheeses and sauces to choose from, while supplies last. Though getting to Friday’s opening took longer than expected, Shah said he is more than ready to fulfill a lifelong dream. He grew up in India wanting to become a chef while his parents worked in the hotel business. The family moved to the U.S. when he was 17, and his parents continued their work in hotels. Shah got into the liquor and retail side of food service while living in Pensacola, where he resided for about a decade before moving to Bradenton two years ago. While visiting family in New Jersey last year, he tried 1000 Degrees pizza for the first time. Now, he’s opening his own franchise, with Shah saying 1000 Degrees and Bradenton were a good match for several reasons. 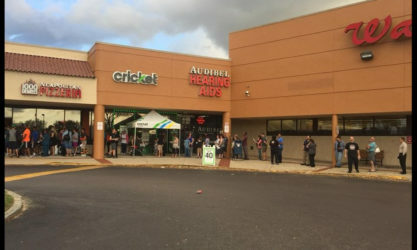 “It’s a place where a family can come in and have a nice dinner or a nice lunch,” he said. Each pizza is cooked in a custom-built Neapolitan oven that reaches 1,000 degrees and is ready in about 2 minutes. The Neapolitan-style pizza, characterized by a razor-thin crust and short baking time in a high-temperature oven – hence the name of the chain – is meant to be eaten right after it comes out of the oven, Shah said, so delivery will not be offered. Each pizza is cooked in a custom-built Neapolitan oven that reaches 1,000 degrees and is ready in about 2 minutes. Pizza crusts are a classic Neapolitan style or a thicker Roman style that is rolled into more of a flatbread. The menu also includes salads, breadsticks and fire-roasted wings. Unique to the Bradenton location: A self-serve beer and wine wall featuring 30 taps that will utilize iPourIt technology – customers get a bracelet linked to their credit card, then scan the bracelet at a tap before pouring beer or wine priced by the ounce. John Feltes, the vice president of operation for 1000 Degrees, told the Bradenton Herald that Florida is well-positioned for pizza-franchise growth because of transplants and tourism. 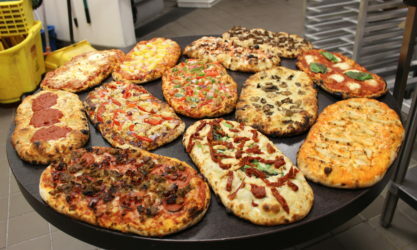 For more information on the 1000 Degrees Pizza brand, or for franchise or investor relations, please visit the company website at www.1000DegreesPizza.com.